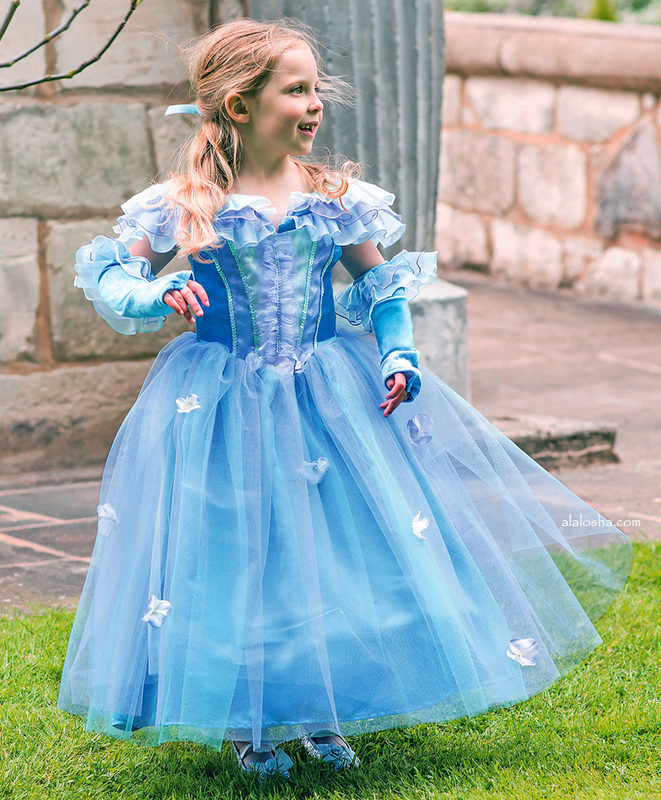 Little ones who dream of riding unicorns and dragons or becoming a princess will love having fun dressing up in costumes from Dress Up By Design. 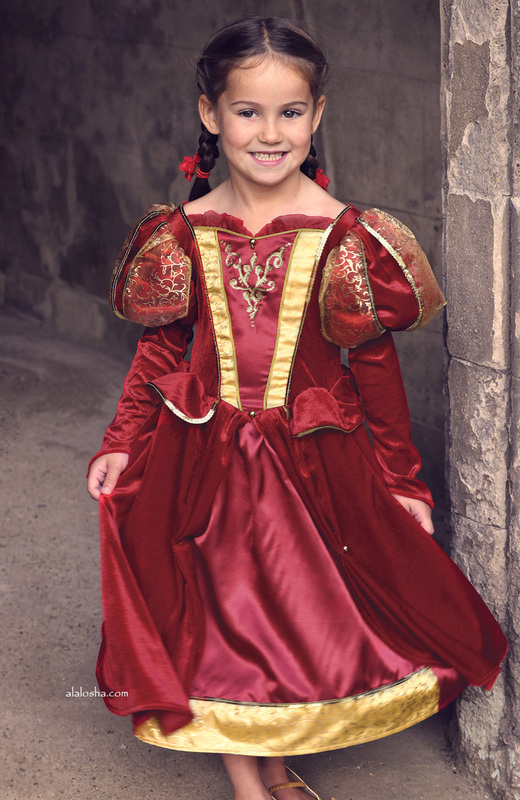 Girls red velour medieval queen dress-up costume by Dress Up By Design. In a traditional medieval style it has padded puffed sleeves, with gold lace, embroidered and sequin details. The full skirt has a satin vent inlay on the front. The hoop in the tulle lining gives a dramatic shape and can be removed for washing. Easy to wear it simply pulls on and has an elasticated waist. 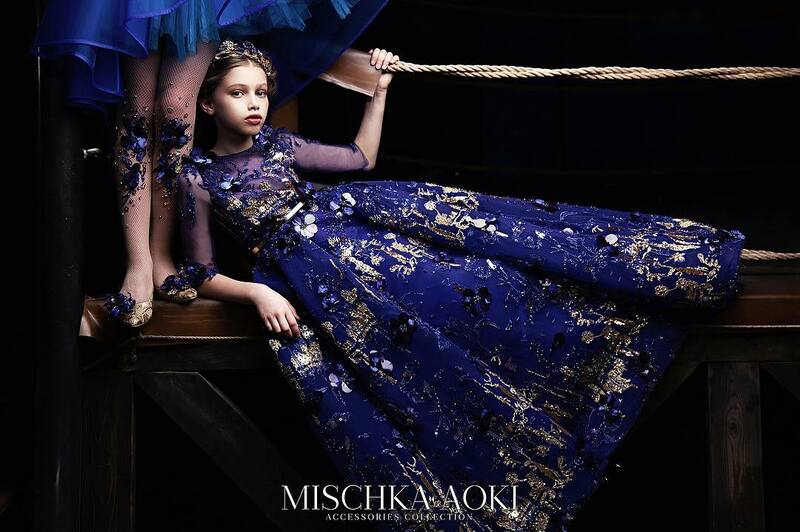 Fit for a princess this stunning blue ball gown costume by Dress Up By Design, is made with Tulle and satin. In different tones of blue with flowers and sequin details. It has an off the shoulder look with narrow shoulder straps and shimmery ruffles. It comes with separate matching sleeve details. The hoop gives the skirt a dramatic shape and can be removed for washing. 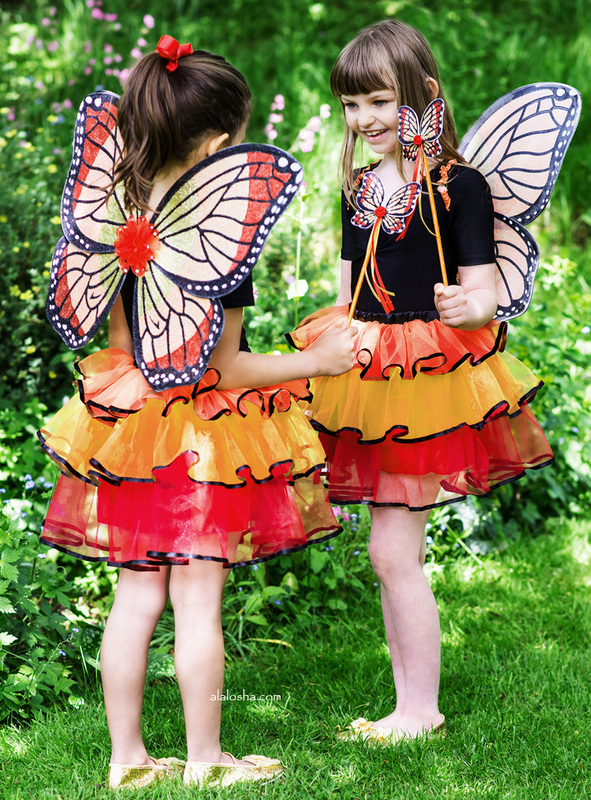 Girls red 'Admiral Butterfly Fairy' dress-up costume. 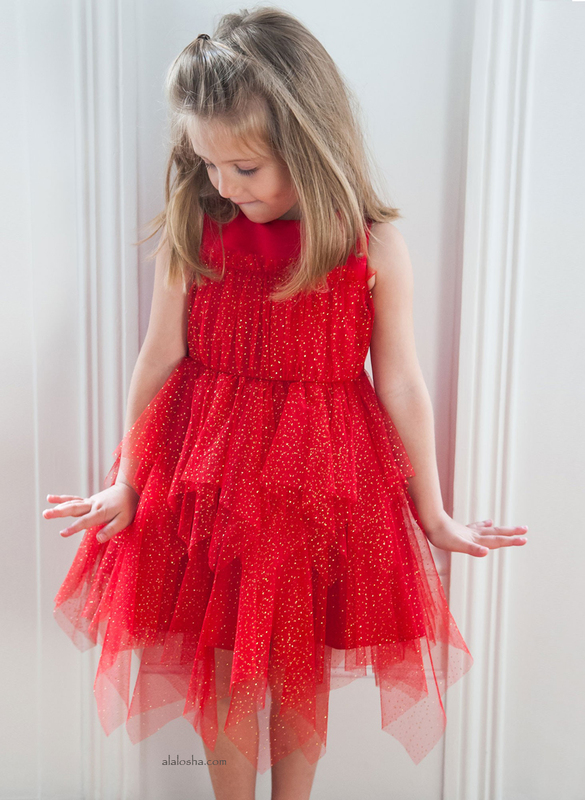 The red and orange skirt has tiers of soft tulle edged in black ribbon, with an elasticated waist and silky lining. The stunning wings have a flower centre, elasticated shoulder straps and are decorated with glittery. To complete the set there is a wand to match the wings. 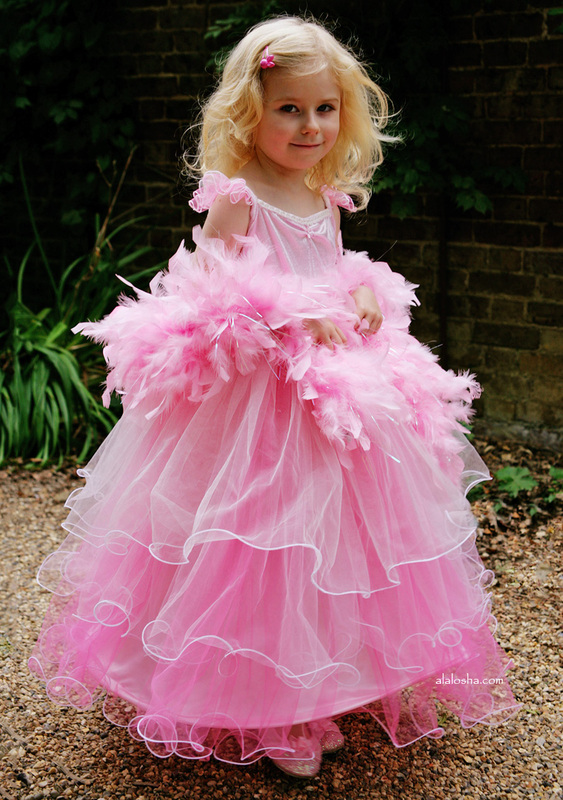 Girls flouncy pink party costume dress. The bodice is soft velour, trimmed with sparkling white lace and gem. The full skirt has layers of tulip hemmed tulle in different shades of pink over a satin layer. The skirt has a hoop adding shape, which can be removed for washing. It comes with a pink feather boa to wear over the shoulders. 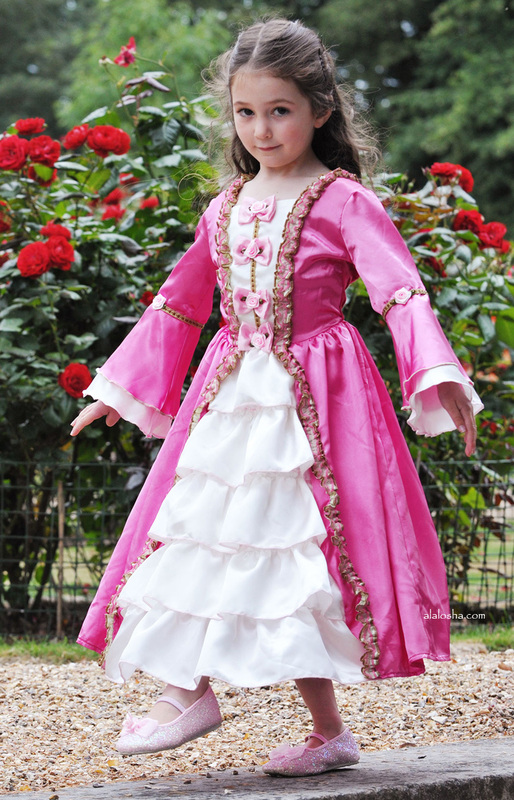 Beautiful pink satin 'Marie Antoinette' costume by Dress Up By Design. In a 1700's style, it has flared sleeves and a hooped skirt with a white ruffled insert on the front. It is decorated with pink bows, roses and gold trims. Easy to wear, it fastens with velcro and the hoop can be removed for washing.